As of 2017/03/17, the Engineering Productivity team, aka the A-Team, is no longer a discrete team. Its operations have been split between the new Product Integrity org and Engineering Operations. For now, many discussions around the test and automation work that was formerly under Engineering Productivity continue in #ateam on IRC. This page is preserved for historical reasons. Welcome to the home page of the Engineering Productivity team. 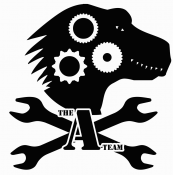 Formerly known as the Automation and Tools team, we still sometimes use the nickname "A-Team", and you'll see A-Team references scattered around our documentation. We're a group of engineers who develop and support a wide range of services, tools and automation that serve the engineering teams at Mozilla, with a specific focus on work that increases the productivity of those teams. We are part of the Release and Productivity organization. The Engineering Productivity Team is a Swiss Army Knife of engineers dedicated to improving the quality and productivity of engineering at Mozilla. Working with others in a responsive and agile manner, we strive to be a model of open development. We create, maintain, and extend a diverse array of sustainable tools and systems that create and deliver information on the quality of Mozilla's products and enhance the impact and effectiveness of the Mozilla community. We're a friendly bunch of people who are happy to help you; we want to hear about your ideas and your problems and what you think we could do to make your work more productive. See our Team Roster for a list of people on the team; find us on IRC on #ateam; e-mail us at auto-tools__at__mozilla_dot_com (internal list) or mozilla-tools__at__lists_dot_mozilla.org (external mailing list). Many of us blog about the things we work on; you can check our team planet for a feed of these. We work on a range of things which varies from quarter to quarter, but the lists below represent the general scope of our activities. We don't own buildbot or TaskCluster (those belong to the Release Engineering and TaskCluster teams, respectively), although we help on those projects from time to time. We don't write unit tests which are run in the test harnesses we own; developers are best-suited and responsible for that. We generally don't write functional tests which are run in the harnesses we own, although we may help out here from time to time, particularly when this is done in conjunction with developing a new harness. Our interests here are empowering developers to write their own tests, but we sometimes contribute tests here as part of the bootstrapping process. Ultimately, as with unit tests, developers are best-suited to writing functional tests and understanding overall test coverage and design. We have a fortnightly meeting, every other Monday at 10 am US Pacific Time. We typically discuss status, new projects, have demonstrations of new tools and features, and sometimes even bikeshed. All are welcome, please join us! We set and deliver quarterly goals, which is usually a good place to see what we're up to. If you have some work you'd like to see us incorporate into our goals, fill out our project request form. For a list of projects that we own, see Project Central. Periodic team updates are posted to the mozilla.tools mailing list. We love contributors! We see community members as one of the keys to our success, and actively encourage and mentor their contributions. Working on the testing, build, and automation systems at Mozilla is a fantastic introduction to Mozilla development. There are two great ways to help - either by joining an existing project, or taking on one of our "starter" projects to help you learn your way around. A-team bootcamp - This covers the basics of getting started as an A-Team contributor. Quarter of Contribution -- Longer-running scoped opportunities for contribution which have definite goals, mentors and timelines. Existing Project -- Look over our projects list and see if there is anything that you'd like to help with. Check out the skills and areas of the team to see how you can fit in and help out. If you have questions, or if you want to sign up, please come find us on IRC in #ateam. This page was last modified on 2 June 2017, at 01:24.